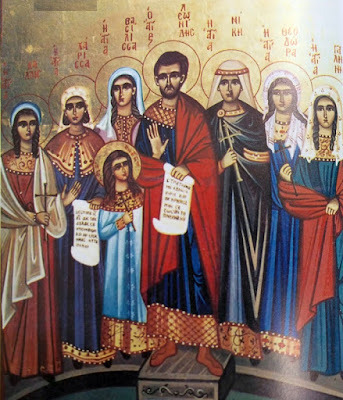 The Holy Martyr Leonides with the already mentioned holy women were from Greece, namely the Morea. Divine Leonides was arrested in Troezen, which is in Peloponnesos in the Saronic Gulf opposite Athens, which is commonly called Fanari, or according to others Pediada, which is in the Diocese of Corinth. Being the leader of a spiritual chorus, he was arrested during the festive days of the holy Resurrection of Christ. The holy women were also arrested, and they were brought before the governor of Corinth, whose name was Venousto. 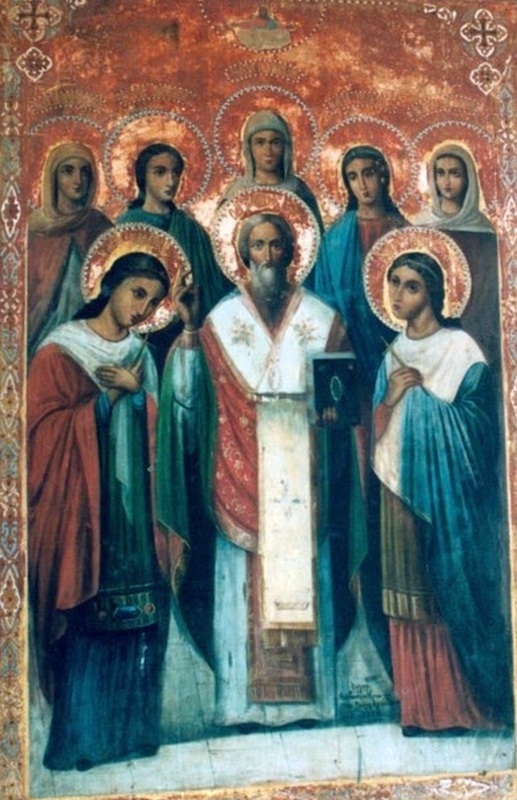 Seeing Saint Leonides was unshakeable in his faith in Christ, he ordered for him to be suspended and lacerated. Then he ordered for him together with the holy women to be cast into the depths of the sea. When the Saints were about to be cast into the sea, it is said that the blessed Charissa chanted, just as the Prophetess Mariam chanted at the drowning of the Egyptians, saying: "I ran a mile, O Lord, an army pursued me, O Lord, yet I did not deny You; save my spirit." The other women helped her and chanted with her, until they arrived at the sea. Entering the boat, they began to chant this ode, until they arrived at thirty stades, or a little less than four miles. 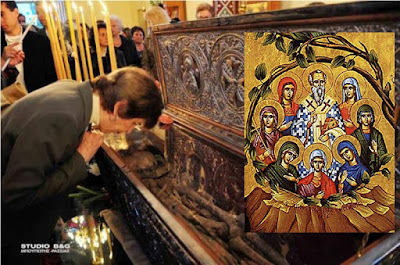 Having stones tied to the them, they were cast into the depth of the sea one day prior to Pascha, namely Great Saturday, and in this way the blessed ones received the crowns of the contest from the Lord. 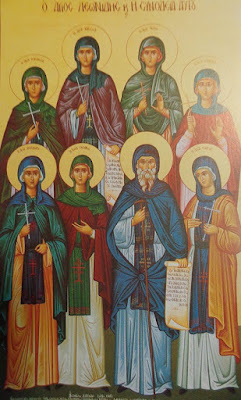 A great champion, you are called, in Epidauros, O Leonides, you were not daunted by the hindrance of Beliar; having destroyed reverences for the idols and for bravely confessing Christ, with the seven women O all-blessed one, fervently entreat on our behalf that we may be given great mercy.